Mommy’s cancer diagnosis will bring fear, sadness, and uncertainty to your entire family, especially your young ones. You not only have to navigate your own illness and treatment, but as a parent, you need to figure out how to explain this to your children, and monitor their feelings. My Mommy Has Cancer was written to help your family heal. 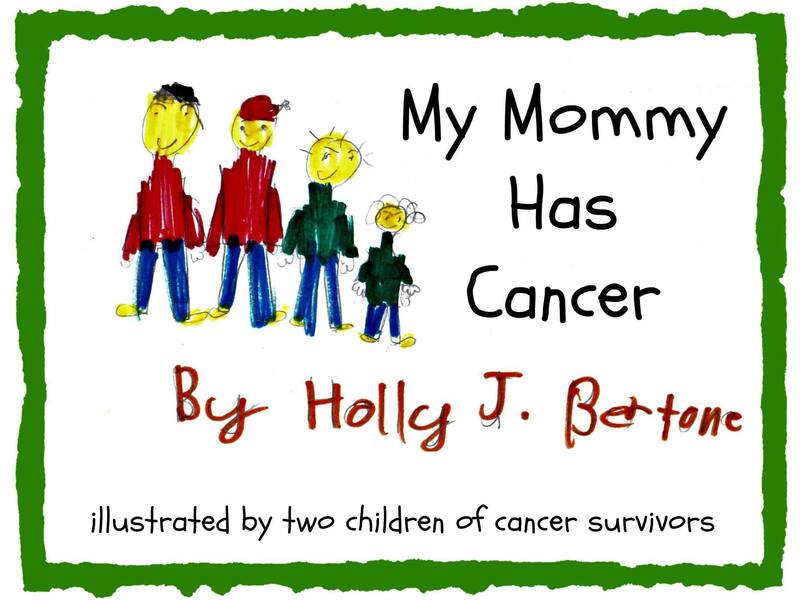 This children’s book was written from a child’s perspective to talk to another child about cancer. It is age appropriate for five to ten year-old children. Parents are encouraged to read through the book first, and then read the book to or with your child and have an open discussion that is best for your family’s situation. Topics include what is most visible to children: surgery, chemotherapy, hair loss, schedule disruption, feeling sad, and helping. Break-out boxes contain probing questions to help your child talk openly about their feelings and concerns. It is age appropriate for five to ten year-old children. This book was written based on Holly’s own experiences, and as a response to her calling to help other families who have been devastated with cancer. Illustrations are from children of cancer survivors (and one buddy who wanted to help).